Derby College has once again called upon trusted East Midlands graphic design agency, threeguru, to deliver their annual enrolment campaign for the coming academic year 2018/2019. The Derby design agency, have been Derby College’s marketing agency of choice for their annual summer enrolment campaign for the past 5 years, with the creative team maintaining fresh strategic thinking year on year. The threeguru team tackled the 2018/2019 campaign brief with gusto, offering a mix of strategic, creative and digital thinking, all focused on the strategic aims of the college’s recruitment drive. The selected concept focuses on attainable dreams at Derby College, with a striking design utilising monotone imagery, sharp colour accents, and bold typography to provide a desirable aesthetic for school leavers. 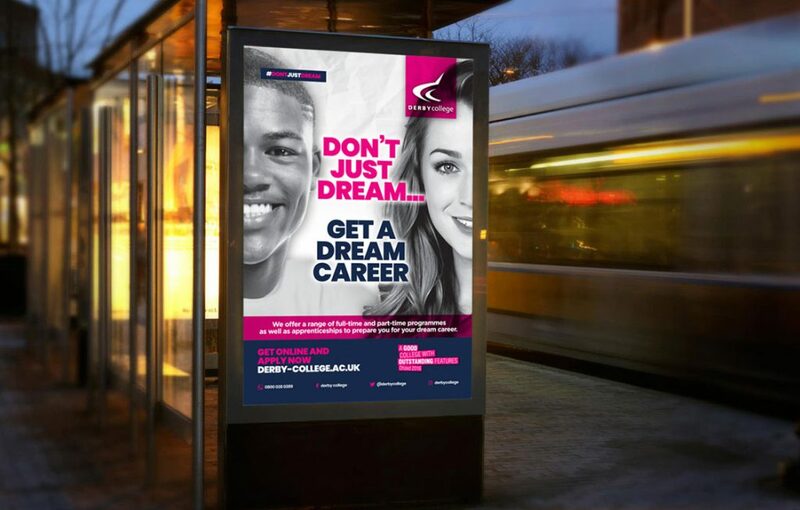 Derby College’s new aspirational campaign takes a student and fills them with ambition with the ‘Don’t just dream’ tagline. This aspirational message spans the campaign across higher education, apprenticeships and vocational courses, with one succinct message, ‘get online, and apply now’. 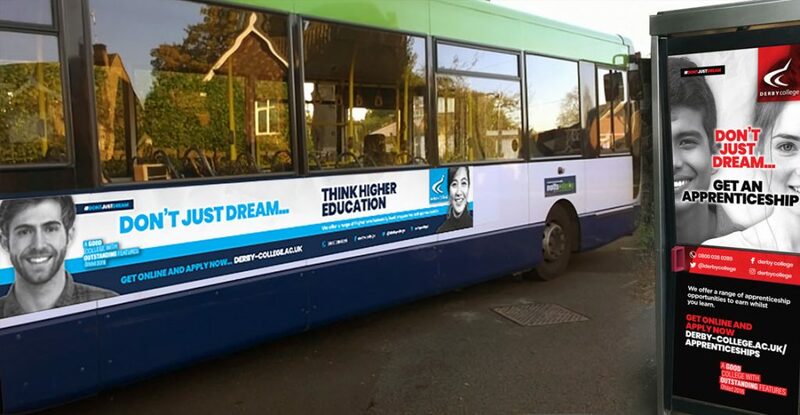 East Midlands graphic design agency, threeguru, originated the enrolment campaign to be delivered over radio advertisement and further marketing collateral, ensuring the versatile campaign achieves the maximum reach.